The earliest weekend available to us is July 13-14, 2012. We were surprised to learn that ALL earlier weekends were already booked. 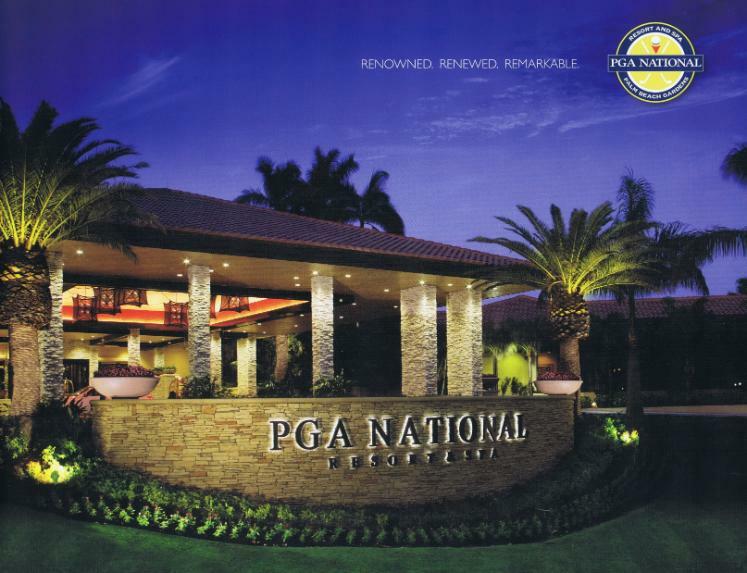 PGA does not reduce to their summer rates until June, unlike most other Palm Beach area hotels and resorts which make the change in April and May. Our goal is to provide an exciting and memorable weekend for everyone at the most affordable price. We want to encourage each of you to make plans to come and enjoy the weekend events, to re-establish your high school friendships and be a part of the new memories that will be created this weekend. AND we are in a more elegant & up scale location! This gathering lasts as long as there are those who want to visit. KNOW OF A LOST CLASSMATE?? *** If you happen to be in touch with a classmate who may not be aware of our reunion plans or who has not received information regarding past reunions, PLEASE get their current address and email address and send it to me. Or, send me their information and I will get in touch with them. There are those classmates who have lost touch with everyone, but still are very interested in coming to reunions. Please, even if you are not personally interested in attending or participating in our class and school events, there are so many who are. and our 1957 class data base roster.